Happy Monday everybody. 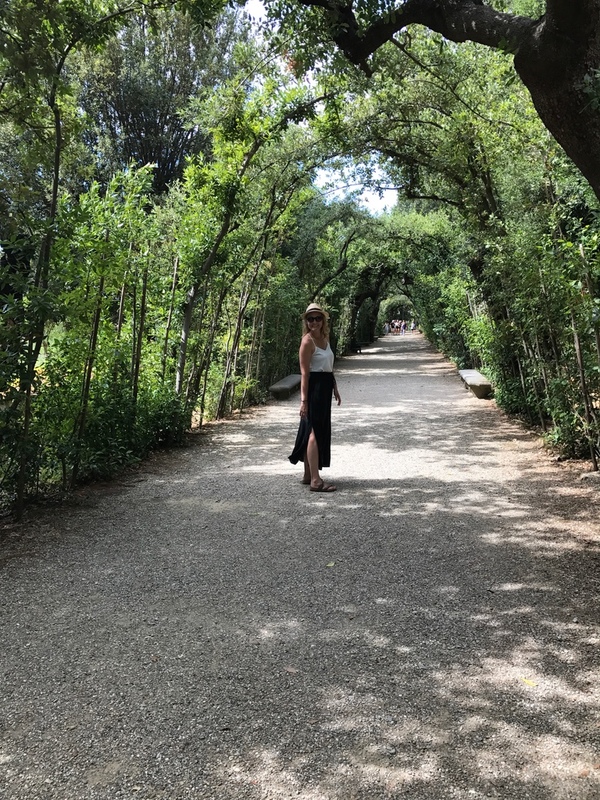 Normally I am not Monday’s biggest fan, but this Monday is the last one that I have until winter break begins, so today Monday and I are friends. Although, it feels like it’s time for spring break…this weather is fantastic, isn’t it?!?! As you may remember, I had a “city garden” over the summer. 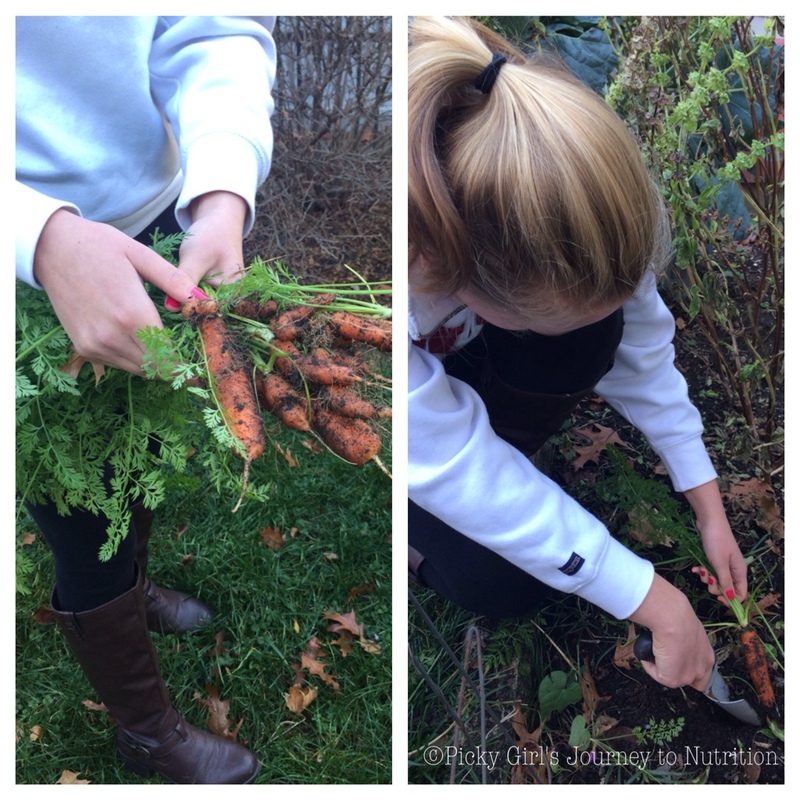 Recently, we harvested our carrot crop. We didn’t get a big crop, but we got more carrots than I thought we would. We even got two pretty good sized ones! Aren’t they some of the most beautiful carrots you’ve ever seen? I know it’s weird to get excited over carrots, but I am really excited about my carrot crop! Anyways, I decided that I couldn’t just cut my carrots into carrot sticks and call it a day. I thought that these carrots deserved more and thus “Oven-Roasted Carrots” were born. I came up with my own recipe and I promise that it is super easy and delicious. **All seasonings to taste. Use as many carrots as you want/have! Preheat oven to 350 degrees. Wash and peel carrots. 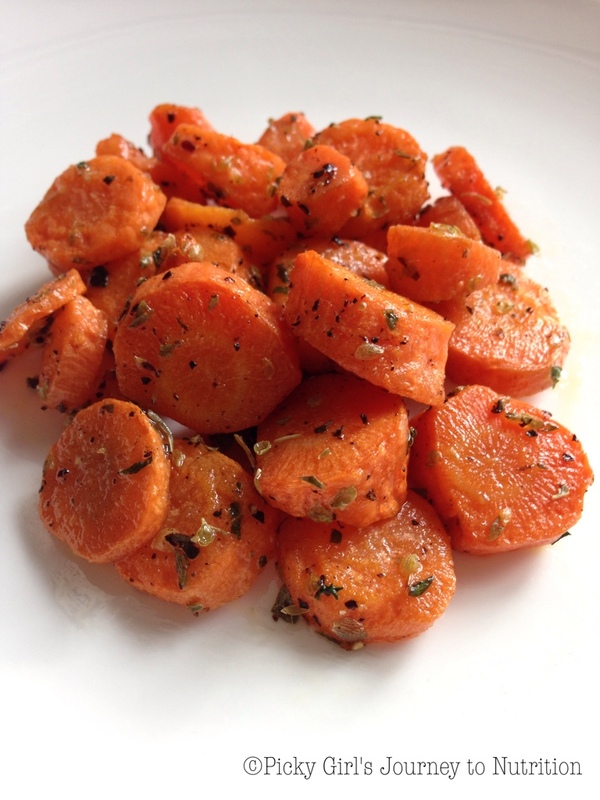 Cut carrots into 1/4 inch slices. 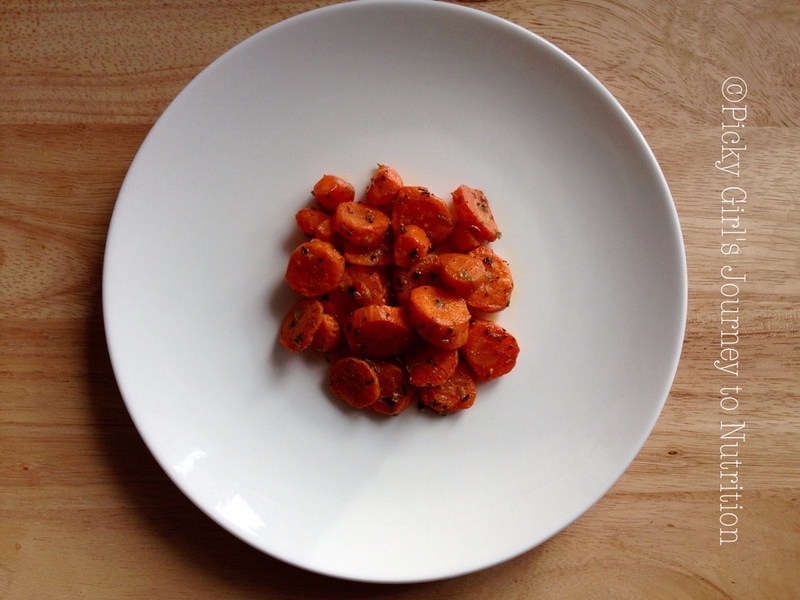 In small bowl, mix together all of ingredients until carrots are evenly coated. Bake carrots on a baking sheet for about 15 minutes or until tender.